Below is the Official Frequency Allocation for UHF CB. CLICK for a printable coloured JPG version of the 80 channel layout info. NOTE:- Don't Use Repeater Inputs For Simplex Operation. You will be Rebroadcast all over the coverage area of that repeater. 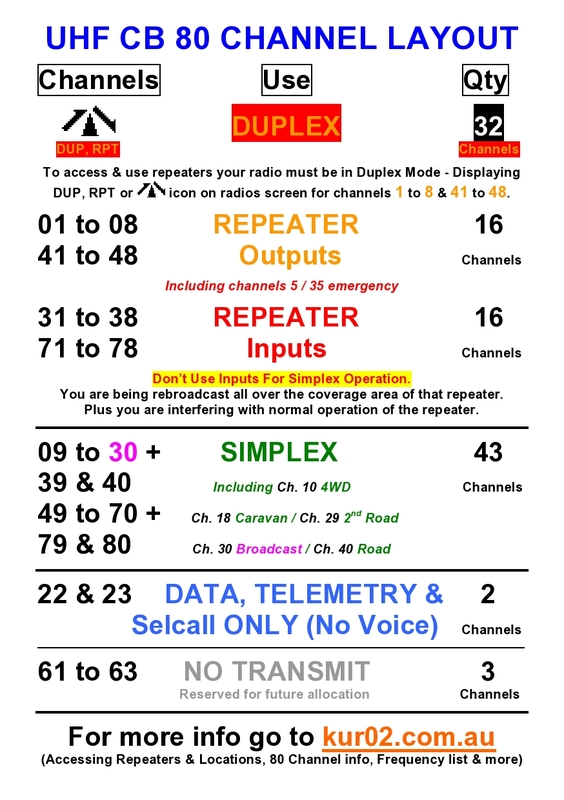 Plus you are interfering with normal operation of the repeater. This information is provided for Kur02 by Duoro Services.